With a prime location along Lake Buena Vista and seating for 150, the venue will feature unique cocktails – such as the “Hovito Mojito” with Barsol Quebranta Pisco, fresh lime juice and simple syrup – and small plates such as “Air Pirates Everything Pretzels” with house-made mustard and beer cheese fondue. The design team has gone to great lengths to ensure that every element – from the propeller-based ceiling fans and diving bell “booth” to the “Rolling Boulder Meatballs” on the menu – fits within the storyline. 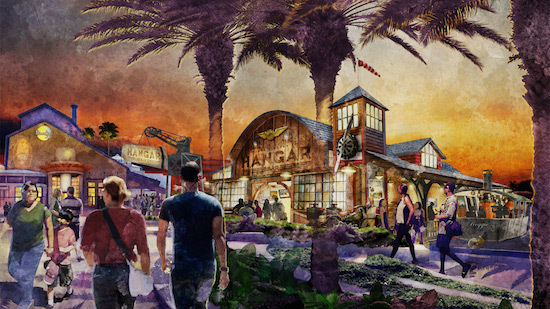 Look for Jock Lindsey’s Hangar Bar to open in Downtown Disney this fall! 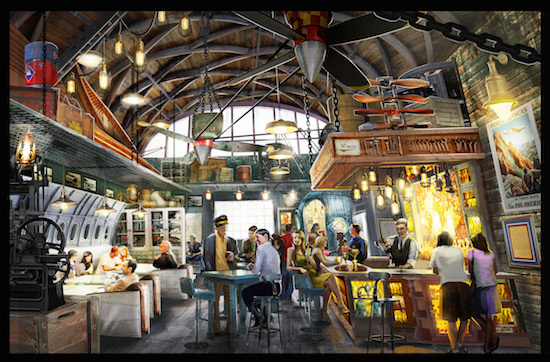 Are you excited to try Jock Lindsey’s Hangar Bar?